Anyone reading this who is involved in the literary genres almost certainly knows Ed Bryant, and any of you who have actually met him probably have stories to tell about what a great guy he is. Well, Ed has had some health problems, and he's in need of help from all of us in the writing and genre communities. Please visit http://friendsofed.org to learn more, and while you're there, you can donate at the bottom of the page. Ed's a regular at MileHiCon, and I had the good fortune of having dinner with him on one occasion. Even given his "renown," he is a very humble gentleman and he gave me a few small nuggets of advice that I've at least tried to put into play in my own career. After a lot of furious formatting, I'm happy to announce that the Ephemeris core rulebook and most of the Ephemeris RPG supplements are now available at Smashwords. In the weeks to come, they will also be available at a number of other e-book retailers. In the September issue, Tyree looks at the portrayal of big bad business in film and in literature. 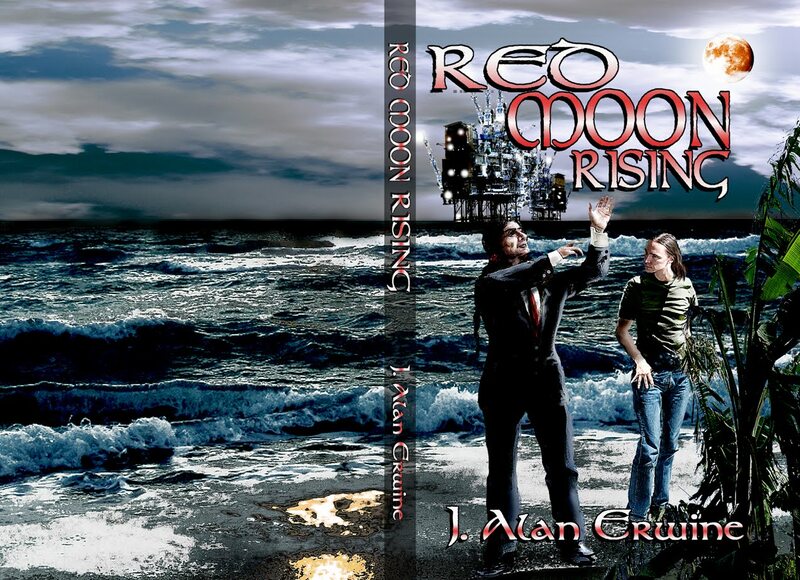 For his literary sample, he uses my latest novel, Red Moon Rising. He has some interesting points to make, and what author doesn't like it when someone references their work to make a point? The core rulebook for the Ephemeris RPG has now been released in a variety of e-book formats through Smashwords. You can buy it in whatever format you need at http://www.smashwords.com/books/view/83508. In the weeks to come, it should be available from a wide variety of e-book sellers. We will also be releasing all of the game supplements for other retailers as well. A week and a half ago, Rebecca's Uncle Joe passed away, so we loaded into the mini-van on Wednesday night and headed to Farmington, NM. The trip down was pretty uneventful, other than my mother-in-law almost falling down an embankment in the dark. We'd heard that the Motel 6 in town was cheap, but decent, so we booked two rooms there. The cheap part was true, but the place was a complete craphole. When we got there, there was no hot water, and after more than nine hours in the van, we all really wanted hot water. With that not being an option, we headed to lunch. On our way home, we were hit by a huge downpour. When we got back to the motel, my in-laws' room had flooded, and all of their funeral clothes had been drenched. The motel was more than happy to move them, so they moved them into a room with no air...and we still didn't have hot water. The manager was gracious enough to offer us discount coupons for our next stay at Motel 6. I informed him that we would not be staying at Motel 6 any time in the future...so they refunded both of the rooms for the entire stay...I still feel like we got ripped off. The funeral was a big affair, and I think most of the town was there. Joe had lived there most of his life, and he'd been a Navy veteran and a former Fire Captain, and he was very popular in the community. Since he'd been in the fire department, the funeral procession was escorted by two fire trucks, and as we passed the main fire station, all of those left on duty were standing outside saluting the procession...a very touching gesture. I noticed a big difference about funerals in small towns as opposed to funerals in larger cities. For one thing, as the procession was passing through town, cars on the other side of the road were pulling over, and men were taking off their hats. In the "city," funeral processions seem to be seen as an impediment to traffic, and most people are quite rude in dealing with them. Also, the cemetery was right next to a park. As we passed the park, everyone stopped what they were doing and silently watched the procession...and it was a long procession. Our return home was as uncomfortable as the trip down...you can only fit so many people into a mini-van. The highlight of the trip home was when were on I-25 just north of Walsenberg. Rebecca looked up a hillside, and started shouting "There's a bear." And sure enough, a small black bear was making his way down the hill. It was the first time I've ever actually seen a bear in the wild. I just hope he stayed off the highway. We're now very exhausted, and we have to start back to work, with Rebecca going in very early today, and me going in very early tomorrow. I also have a lot of catching up to do as well. 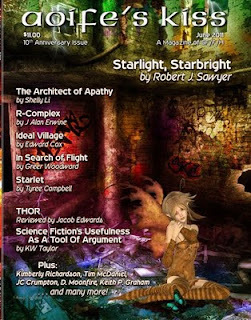 Sam's Dot Publishing has released Vol. 2 of The Martian Wave, which I edited, as an e-book. Regular readers of this blog have probably noticed that I haven't been posting much lately, so what have I been doing with my time? I've been desperately trying to get The Bandits' Sourcebook for the Ephemeris RPG ready, and I'm happy to report that it should be available from DriveThruRPG some time in the next week. 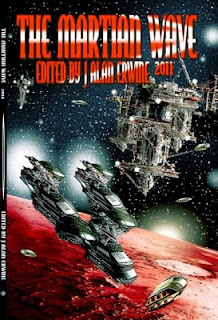 I've been trying to get caught up on submissions for The Fifth Di... and The Martian Wave, which I was way too far behind on, and I'm happy to report that I'm not caught up. I've also been busy formatting books and e-books for Sam's Dot...that battle never ends. And on a personal note, I've been busy watching our youngest grow up so fast, and of course our older girls started back to school...so busy times indeed! I'm really bummed that I won't be going to Renovation this year. With it being so close, I was really hoping that we'd be able to make the trip, but our finances just won't allow it. So, for those of you that are going...have a great time for me! To order a copy, simply go to http://sdpbookstore.com/beyondcentauri.htm. 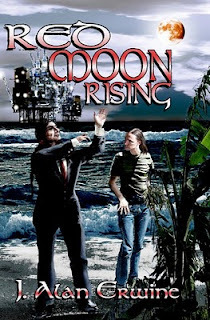 My new novel, Red Moon Rising is being classified as environmental science fiction, and since Friday, April 22nd is Earth Day, Sam's Dot is putting the e-book version of the novel on sale for just $2.95...that's $2 off the usual list price. To order, simply go to http://www.smashwords.com/books/view/40341 and when you check out, use the coupon code VM34F. But don't delay, this offer is only good on Earth Day. Now that The Genre Mall has closed, you can find my two Sam's Dot titles at the SDP Bookstore. 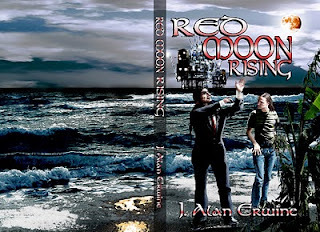 My new novel, Red Moon Rising can be found at http://sdpbookstore.com/novels.htm#redmoonrising. My illustrated short story chapbook, A Problem in Translation can be found at http://sdpbookstore.com/fiction.htm#translation. 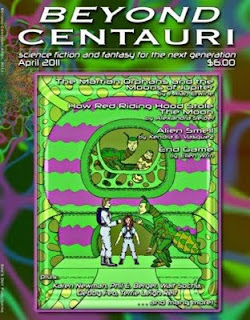 The new issue of Beyond Centauri, Sam's Dot's YA zine, has just been released and my story "The Martian Orphans and the Moons of Jupiter" is in it. This is my second attempt at writing YA fiction. A lot of people seemed to like the first effort, so hopefully they'll like this one as well. There are a lot of stories about the Martian Orphans still kicking around in my skull, so there's a chance that these characters will be making a comeback in the future. It's been a crazy busy month, so I haven't been blogging much. Hopefully there will be more in the months to come.